The latest in advanced laser treatments have fresher, smoother, and more Brilliant skin from the inside out with the all new Clear + Brilliant fractional laser. This treatment will take your skin to a whole new level, you will have the visibly illuminated skin tone, renewed ultra-soft and smoother texture, naturally radiant and glowing skin with improved tone texture and radiance. A treatment Protocol is to have 4 to 6 treatments 2 weeks apart. with a Maintenance treatment every 3 to 6 months. If you’re battling the effects ageing can have on your skin or try to address it before the battle even starts, Clear + Brilliant can help. With simple, gentle laser treatments, you can help prevent the visible signs of ageing and the overall dulling effects time and the environment can have on your skin. One Clear + Brilliant session can leave your skin feeling smoother, younger and give you that “radiant glow” that comes from healthy, youthful skin. 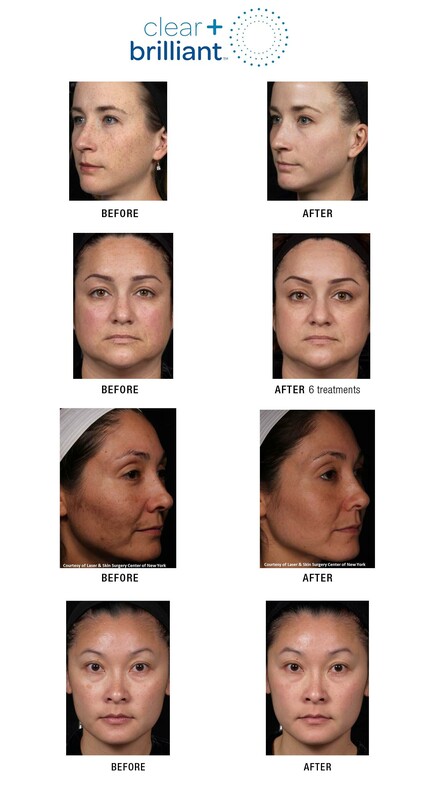 Routine treatments deliver lasting results that can keep you looking younger for years to come. Clear + Brilliant is simple yet effective and is an easy treatment to add to your routine.